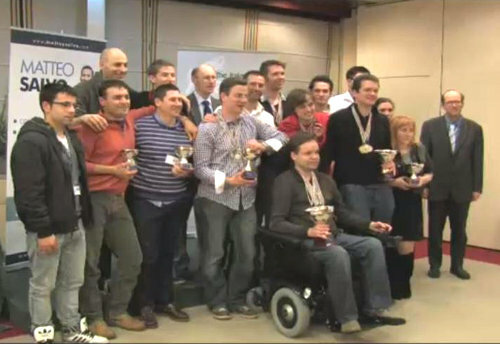 Here is a summary of the 2013 Slovenian and Italian Memory Championships. The Italian competition was broadcast live on ustream, so there will probably be footage available on YouTube later. The winner of the Italian Open was Johannes Mallow, and Mara Bresciani is the Italian Memory Champion. Binary Digits: Johannes Mallow memorized 975 binary digits in five minutes. Jonas von Essen and Ola Kåre Risa also broke the current world record with 962 and 940 binary digits respectively. Random Words: Boris Konrad broke the world record with 119 random words memorized in five minutes. Simon Reinhard also broke the previous world record with 118 words. 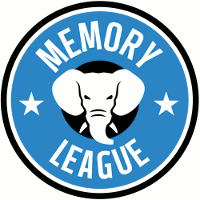 Check out the full discussion thread in the forum: Italian Memory Championship 2013 LIVE. UPDATE: see also, the 2013 world records set at the competition. See also the calendar of memory competitions and the list of memory competitions. Update: The scores have been posted here. USA Memory Championship: "Hope for Humanity"